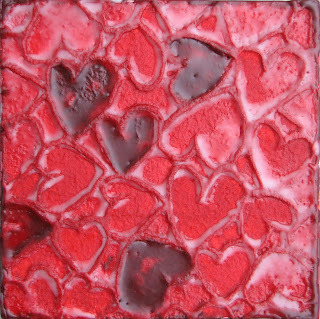 Daina Scarola, Ocean Art Studio: Be My Valentine? 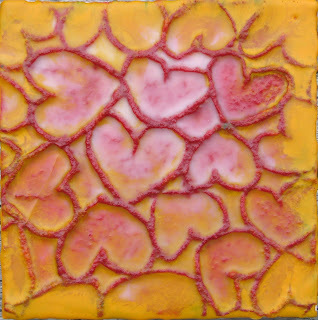 Love in the Sun, 6"x6" encaustic beeswax collage on wood. Photo used is of two people on Makapu'u Beach I took while paragliding last summer on Oahu. Fresh off the hot wax pallet for Valentine's Day are some untraditional ways to say "I Love You" and "Will you be my Valentine?" for the ocean, beach, and nature-lover. I'm still grinning at how cute these are. Just wait 'til you see them in person. If you're lucky enough to live in the Halifax and Eastern Shore areas, come check them out this weekend. I'll be at the Halifax Seaport Market Saturday 7am-3:30pm and Sunday 8am-4pm. After the market on Saturday, I'll be heading to the Eastern Shore to the Seaforth Market (10 minutes past Lawrencetown Beach) for the Sunset Twilight Valentine's Market from 5pm-8pm. The 6"x6" collages are $58 each, while the 5"x5" collages are $38 each, with the exception of the Lilly Love diptych, which is $75 for the pair, or $40 each. 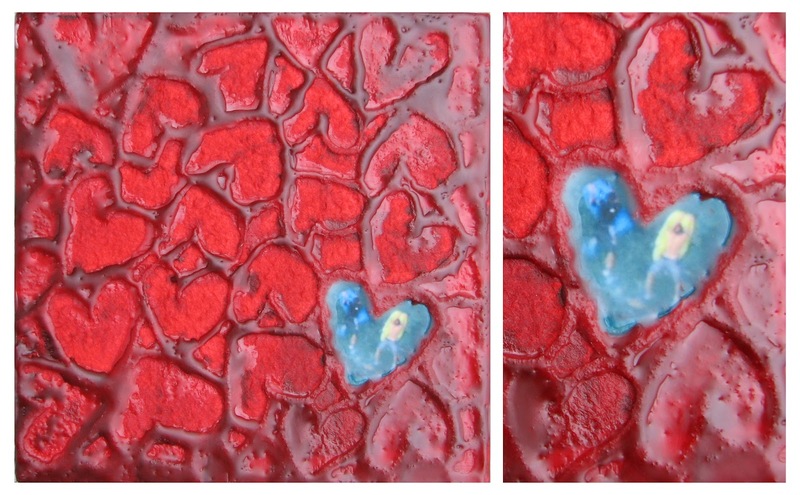 Aqua Hearts, 6" x 6" encaustic beeswax collage on wood. Golden Love, 4"x4" encaustic beeswax collage on wood. 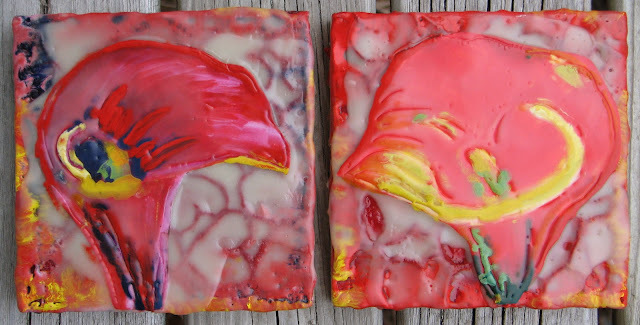 Lilly Love, pair of 5"x5" encaustic beeswax collages on wood. Ocean of Love, 6"x6" encaustic beeswax collage on wood. Family of Hearts, 5"x5" encaustic beeswax collages on wood. Red Hearts, 6"x6" encaustic beeswax collage on wood.